A new series featuring a floral design and the Rose City, Portland, Oregon. Britta Johnston has returned home after the disaster of her marriage ended. Her Aunt Eilin owns a Floral shop Blooma which situated in a portion of the banks of the Willamette River. It is a closed unit where all owners help each other. Eilin is preparing to launch a major addition to her business. It is to be about floral jewelry including a dress made completely of flowers. One morning when Britta opens the shop, she finds a dead body in the cottage. This begins a journey where she makes new friends, aids the police and learns about her past. Floral tips and recipes are included. I highly recommend this book. I am ready to read the next book. 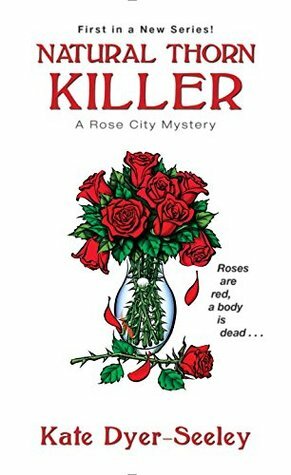 This entry was posted in #NetGalley, Books, Uncategorized and tagged Britta, cozy mystery, Favorite, Floral, jewelry, Kate Dyer-Seeley, past, romanxe. Bookmark the permalink. Another one I read and enjoyed.